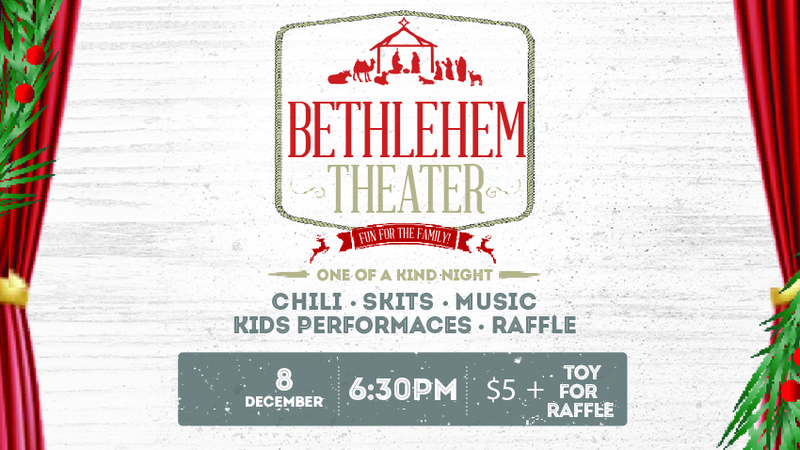 Chili, adorable kids singing, talented vocalists and musicians, Pastor in a hilarious skit... what more could you ask for?! And don't forget to bring an unwrapped toy for the raffle. Toys will be donated to the Adullum House for kids of incarcerated parents. Cost is $5 for adults, $2 for kids under 10, and FREE for 2 and under. Sign up below! You can pay at the Connection Center or at the event on December 8.